Reach out and touch your customers with direct mail printing. 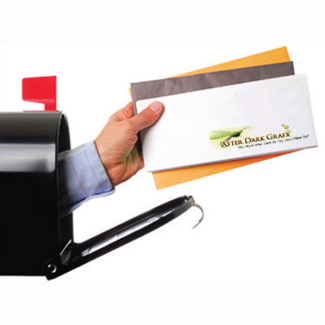 Direct mail is the delivery of advertising material to recipients via the postal service. Direct mail is used by millions of businesses around the world to promote their products and services to potential customers. Direct mail is typically mailed to customers using a bulk mail permit which qualifies for a lower postage rate than normal mail. Because of the low unit cost of offset printing combined with low bulk mail rates the post office offers, direct mail advertising can be an effective way to reach out to large numbers of potential new customers. Direct mail can deliver new customers to your business for a fairly low cost of acquisition per new customer. QPS can help you create clients and profits. Mailing your postcards, brochures, or newsletters correctly and on time can be a daunting task. QPS is here to help! QPS mail sorting software, variable data capabilities, addressing and inserting equipment will get your printed piece into the mail quickly, reliably, and inexpensively.